Ethernet/internet-based data monitoring brings new capabilities and unprecedented access to process measurement and control. Using standard process sensors, such as thermocouples or RTDs (temperature), pressure transducers, flowmeters or other sensors that produce a standard analog or pulse output, you can monitor, control or log data in almost any location - across the hall, on the other side of the street, across town, on opposite ends of the country, or anywhere around the world. Using the power of the internet, remote monitoring takes on new meaning. With Ethernet-based, internet-enabled instrumentation, remote access can be anywhere a smartphone has a signal. From the simplest application, viewing data through the web-browser on your iPhone, Blackberry device or laptop, to more sophisticated uses, such as sending a text or e-mail message when an alarm occurs, or transmitting a data log file over the internet from a remote location to a central office. A user can access this data any time, any where, 24 hours a day, 365 days a year, wherever you have internet access. The "passive monitoring" that's built-in to Ethernet-based systems really does bring a new meaning to job security. Be secure in the knowledge that your process measurement and control system, no matter how large, is functioning optimally. How do you know this? You can confirm it with just a glance at your web browser. Many instruments can now log data to an SD card; the data can be read directly on a PC or Mac, or can be downloaded remotely, over your Ethernet network or the internet. To give you an idea of the capabilities of these devices, consider the following application: monitoring the environment in a corporate warehouse. 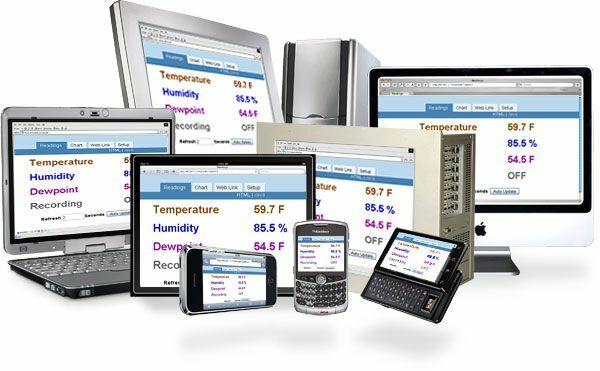 You need to monitor (and log) the temperature, humidity, maybe even the security. Thanks to stand-alone units such as the iSD-TH with built-in sensors, you can monitor temperature, humidity, even dew point, without needing anyone on-site. Two contact closures work with common alarm sensors, so you can be alerted if a door is opened, a window broken, or a fire sprinkler going off. The iSD-TH can send an e-mail to you, as well as to a distribution list; it can also send a text message to your cell phone. If you have an IP camera or web cam, you can view the scene right on your computer. Omega's award-winning iServer is the secret behind this new technology. The iServer is designed to make setup and use fast, easy and affordable. All you need is an Ethernet-based network; if that network has internet access, so does the iServer! The iServer supports standard internet and networking protocols, 9 in all, so you don't have to worry about setup and configuration. The iServer can be accessed using a standard web browser. No matter what kind of computer, what version of the operating system, the iServer handles it for you. You can even use a terminal emulator to send simple text commands to the iServer, to display current settings, modify and store those settings, or access the built-in help. If you have a PC on your network running Microsoft Outlook, the iServer can have it send an email or text message to anyone, anywhere in the world. The advantage of using standard internet protocols is simple and straightforward - it just works. It doesn't matter what computer you have, whether it's a PC running Windows, Mac, netbook running Linux, or a new iPad, the standard internet support is all you need. There's no extra software needed to get you up and running in a matter of minutes. In fact, any smartphone with internet access will work too. Regardless of which phone you're using, iPhone, Blackberry device, or android-based phone, if it has internet access and a built-in browser, you're all set. Omega offers a full selection of products with embedded Ethernet, for a complete solution to any challenge. 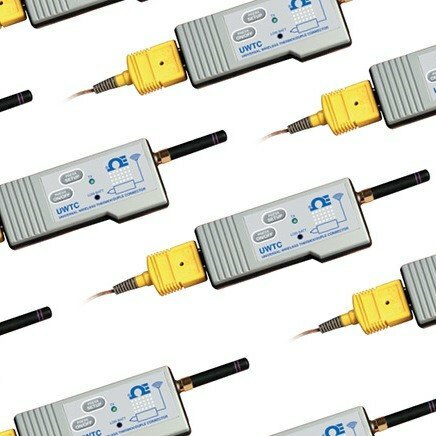 From the simplest communications converter to the most sophisticated wireless product line available, our Ethernet-based products will make you more productive; products designed with the end-user in mind, that let you concentrate on the big picture; don't worry about the finer details, we've taken care of them for you. Embedded Ethernet products can be separated into distinct categories by function; each is discussed thoroughly below. The EIT iServer MicroServer™ is a convenient tool for converting serial communications (RS232 or RS485) to Ethernet. In just minutes, you can have your serial device accessible across your network; users on your network can access the device through a standard web browser, terminal server, even through a router so a user can access it across the internet. The EIT supports standard networking protocols, so setup and operation are fast and easy. The EIT even supports Modbus® TCP/IP, so it can be used in Modbus-based implementations. The EIT is available in three versions: a wall mount/desktop model EIT-W; the EIT-D for DIN rail mounting in industrial environments; and the EIT-PCB, a printed circuit board-based product, that can be incorporated into OEM equipment, adding embedded Ethernet to products with an existing serial interface. Perfect for many applications, iServer technology can be used in labs, clean rooms, museums, warehouses, computer rooms, food processing/storage, hospitals, and greenhouses, as well as HVAC, pharmaceutical, electronic assembly, and many more environments. Depending on your specific application, you can monitor ambient temperature, humidity, dew point, barometric pressure and/or gas pressure (clean, dry, non-corrosive gases), or use a thermocouple or other process (pressure, flow, etc.) sensor with analog voltage/current or pulse output, and make the data available anywhere on your Ethernet-based network. The iServer can be configured quickly and easily using either a web browser from any computer on the network or the iConnect software for Windows (available free from Omega's web site). You can even use a terminal emulator program if you want to. iSD-TH: compact, wall-mount unit for local temperature/humidity monitoring. Features a large LCD display with real-time clock, webcam/IP Camera link (available separately), SD card flash memory storage with remote retrieval, two contact closure inputs for alarm or other monitoring, two alarm relays. iSD-TC: similar to the iSD-TH, this unit accepts two thermocouple inputs for temperature monitoring. Features a large LCD display with real-time clock, webcam/IP Camera link (available separately), SD card flash memory storage with remote retrieval, two contact closure inputs, two alarm relays. iBTX: measure ambient temperature and barometric pressure, in either a wall-mount (with optional display) or industrial/DIN rail mount enclosure. iBTHX: measure ambient temperature, humidity, dew point, as well as and barometric pressure. Available in either a wall or DIN rail mount configuration. iTHX: measure ambient temperature, humidity, and dew point. Available in either a wall (with optional display) or DIN rail mount configuration. iPTX: measure pressure and temperature of a clean, dry non-corrosive gas. Available in either a wall or DIN rail mount configuration. iTCX: iServer Microserver™ for dual thermocouple temperature measurement. 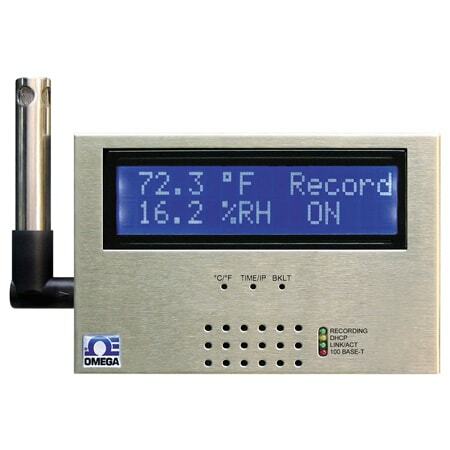 Programmable for use with any of 10 thermocouple calibrations. Available in either a wall or DIN rail mount configuration. iFPX: Frequency/pulse counter, up to 500 kHz. Dual channel, capable for use as a totalizer or batch counter, can also calculate sum, difference, product or ratio (+, -, × or ÷) for either frequency or total, as well as quadrature. Available in a wall or DIN rail mount configuration. iServer technology makes an excellent adjunct to typical process measurement and control instrumentation, adding new capabilities to signal conditioners, indicators, meters and controllers. Standard form factors, such as 1/8 and 1/16 DIN panel meters, as well as DIN rail mount enclosures, gives users the option to add embedded Ethernet capability, without giving up “real estate” such as in a 19" panel, or on a rail in a wiring enclosure. 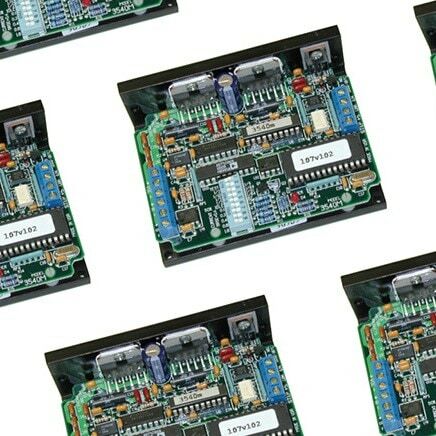 iSeries: compact 1/8 and 1/16 DIN, and large size (4 or 6 digits, 2.25 or 4" high) meters/controllers with optional embedded Ethernet. Optional relay, SSR, dc pulse and analog outputs available. DP41-B: ultra-high performance meter for voltage, current, thermocouple, RTD and strain measurements, with optional iServer embedded Ethernet. Very simply, wireless capabilities add new convenience and cost savings to process measurement and control. By removing the wire connection between your components, installation is faster, easier, and less expensive. Moving equipment becomes less of an issue, as well. Wireless facilitates data acquisition as well, as most wireless equipment interfaces easily to standard computer equipment, whether through embedded Ethernet or USB. Although the terminology may vary from case to case, wireless arrangements always include at least two components - a transmitter or end unit, and a receiver or coordinator. The transmitter captures the raw data, typically directly attached to a sensor of some type, such as a thermocouple or RTD (temperature), pressure transducer, flowmeter, or other such sensor. After capturing the data, the transmitter does what the name implies - transmits the data wirelessly. A receiver, on the other hand, receives the wireless signal(s) from transmitters, and transfers that data to another component, which can be Ethernet (for sharing across a network or through the internet), to a local display/controller, or to an industrial controller. Depending on the application, the receiver may be a simple conduit for moving the data from one location to another (similar to a router in a computer network), a panel meter or other indicator, or a controller, providing either relay, SSR or analog outputs for process management. Units also have external alarm capability, notifying operators when necessary. zED-P Series: high power for longer range, up to 1000 m (3280 ft); temperature (local/internal or remote), humidity and/or barometric pressure, and thermocouple or analog voltage/current models; ac or battery power, optional display available. NEMA 4 (IP65) weatherproof housing. UWTC, UWRTD, UWRH,and UWIR: thermocouple, RTD, humidity/temperature and non-contact (infrared) temperature sensors/transmitters. Capable of distances to 120 m (400 ft). Users have a variety of options open to them with wireless instrumentation; when selecting a receiver, it is most important to make sure that the receiver is compatible with the transmitter/end unit desired. All the receivers listed here feature embedded Ethernet as standard; the wi8 and wiDR offer additional features for local display and control capabilities. zCDR: 32-channel receiver/coordinator, for use with zED series and zED-P (temperature only) transmitters/end units. UWTC-REC3 is a similar unit for use with UWTC, UWRTD, UWRH and UWIR transmitters. wiDR Series: DIN rail mount monitor/controllers with embedded Ethernet; relay, SSR and/or analog outputs. Monitor up to 8 wireless transmitters. For use with zED transmitters and zED-P temperature transmitters, or with the UWTC/UWRTD series units. wi8 Series: wireless meter/scanner and controller in a 1/8 DIN panel meter size. Unique dual display indicates temperature and transmitter ID simultaneously. Patented programmable color displays. 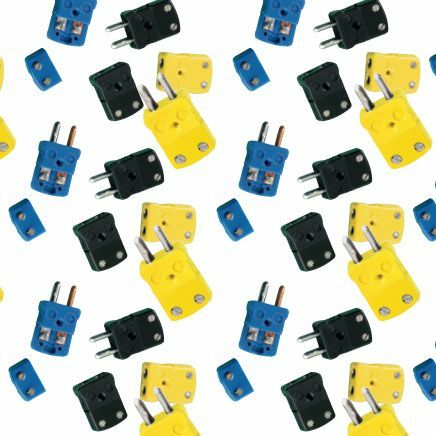 Relay, SSR and/or analog outputs; for use with zED transmitters and zED-P temperature transmitters, or with UWTC/UWRTD series units. Setup and implementation of an embedded Ethernet system is fast and easy. Thanks to standard TCP/IP protocols, you can be up and running in just a few short minutes. It's as easy as plugging in an Ethernet cable, and setting an IP address. You can use a standard web browser or Omega's iConnect software to set the IP, and then use your browser to configure your settings, optimizing them for your application. Using the web browser interface, you can display your data, or chart it; you can even change the ranges for the charts. Set a time base from 1 minute to 1 year using a drop-down menu; set the scale to however narrow a band you'd like. It's as simple as selecting the low or high span, and typing in a number. It's that easy. Omega also provides additional software tools to make your job easier. If you need to log data to your local PC, iLog software for Windows grabs the data and logs it to an Excel spreadsheet. Analyze your data, chart it, or export it to another format for later analysis.Mail Notifier works with Microsoft Outlook to configure alarms, and send an email or text message when an alarm condition occurs. iFlash is a Windows-based utility that allows users to retrieve data stored in the iServer on a flash memory card (specific models only). The iPort program redirects a local serial (COM) port on a PC to an iServer MicroServer on an Ethernet network.